Donald Trump has proven to be a political game changer. His willingness to take on the establishment is inspiring. Along with millions of others, he has garnered my attention. He endorsed me in my race for Senate, and I remain grateful for his support. But his continued insistence on defending the abusive use of eminent domain should concern all who value the Constitution. In writing this, I know I stand to offend many of my supporters. But I write this for them. My oath is to the Constitution, so remaining silent in the face of its violation would be an indictment against everything we have fought to achieve. Even if it hurts me politically, I must defend it and our civil liberties, or else I become what we have struggled to vanquish. Shockingly, Trump seems to argue that because eminent domain exists, the people must ignore and sanction its misuse. For more than two centuries, the Constitution’s Fifth Amendment imposed an essential limitation on the scope of government’s eminent domain authority, since the “takings” clause of the Amendment was consistently and correctly interpreted to prohibit the taking of private property for private use even if just compensation was paid. The government was not permitted to confiscate property from one private individual and transfer it to another; all government takings of private property presupposed an actual public purpose such as highways, schools or courthouses. So, at least to this extent, Trump is correct — if the taking is for a genuine public use, then the exercise of condemnation is Constitutionally permitted. However, after the United States Supreme Court’s 2005 decision in Kelo v. City of New London, certain longstanding protections provided by the Fifth Amendment were stripped away. In Kelo, the Court dramatically altered the Constitution’s original understanding by expanding the scope of “public use” to encompass non-traditional and even private uses. By a vote of 5-4, the Court held that the government’s power of eminent domain may be used to take private property – one’s home, business, farm or church – based on any number of purported justifications, including the possibility of tax revenue generation or even presumably to enhance aesthetics. In broadly construing the “public use” language of the “takings” clause to encompass any secondary benefits imaginable, private property rights – as traditionally understood – were eviscerated. The Court’s decision fashioned the possibility of individuals having their property forcibly conveyed, via the government, to any tax-generating entity, corporate or otherwise, thereby advancing the economic interests of entities with disproportionate power over government affairs. And this is precisely what Donald Trump is advocating. Had the framers of our Constitution intended the “public use” language to have such sweeping scope, they would have selected a more expansive phrase for inclusion in the Amendment’s text, such as “general welfare.” Instead, the specifically-chosen “public use” language was more narrowly construed, as it simply embodied the founders’ understanding that ownership of property is a natural and fundamental right. History demonstrates that secure property rights are an indispensable condition for the preservation of freedom, economic prosperity and social harmony. Our founders recognized property rights as among the most sacred of American liberties, taking up arms against an English system in which the rich and powerful could take whatever property they wanted by utilizing the sovereign’s proposed justification for transfer. They concluded it was their responsibility to protect against the abuses of government, extolling the Constitution as the guarantor of additional security to liberty and property. And yet, despite their unwavering support of private property, our rights are now being threatened, with the most vulnerable among us bearing the most significant burdens. Economically disadvantaged communities are less likely to put their lands to the highest and best economical use, making their lands ripe for government taking. Since the poor are, generally speaking, the least politically powerful segment of a community, they usually lack the political force necessary to deter or alter the power of government. They are more likely to suffer the indignity and pain of losing their property, including sentimental possessions such as beloved family land and homes. But the loss of one’s sentimental possessions, though important, pales in comparison to our collective loss of liberty. In a free market, there is a process for purchasing property, when one individual desires the property of another. The potential purchaser makes an offer to buy. If the offer is refused, then a new proposal can be made. But he cannot simply take what he wants. Nor can he use the power of government to get his way. To believe otherwise is an affront to all we hold dear. 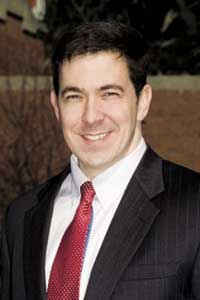 Chris is an attorney, conservative commentator and a Republican candidate for U.S. Senate in 2014. He has represented the 42nd District, which encompasses part of South Mississippi, since 2008. He resides with his family in Ellisville, Mississippi. The more I hear Trump speak on real issues convinces me he is not a true conservative. Ted Cruz is the only true conservative running for the Republican nomination. Thank you Senator for explaining this very important law. It equally makes me question Trumps ultimate goal. I fear Cruz will be bought just like many that came before him. At this time I am not sure who to vote & campaign for. Sen. McDaniel, that was an interesting and informative article. I am glad to know that you place individual property rights over the “greater good.” Indeed, more of our government representatives need to be originalists in interpreting the Constitution. PLUNKETT: Cruz has proven his leadership and character to conservatives. Long-running teacher certification fraud case comes to an end.